The new STEM schedule has more than doubled art education for 7th and 8th graders! Students have art class every other day for 80 minutes for one semester – this is in contrast to once a week for 40 minutes in the past K-8 schedule. This increased time allows students to not only create in the art room, but also read, write, discuss, interpret, and critique. In grade 8, all projects focus on using the visual arts to express meaning and message. Projects include abstract painting, ceramics, logo design, social awareness art, and independent study. Themes of creativity and imagination are incorporated with the intent to build confidence in every student. Students are encouraged to explore creative solutions using both traditional art materials and digital tools. To support inquiry in student learning, instruction focuses more on processes for solving creative solutions than teaching specific techniques. Thank you for taking the time to explore our student artwork. Both 7th and 8th grade will be hosting a STEM Art Show in June, date TBD. 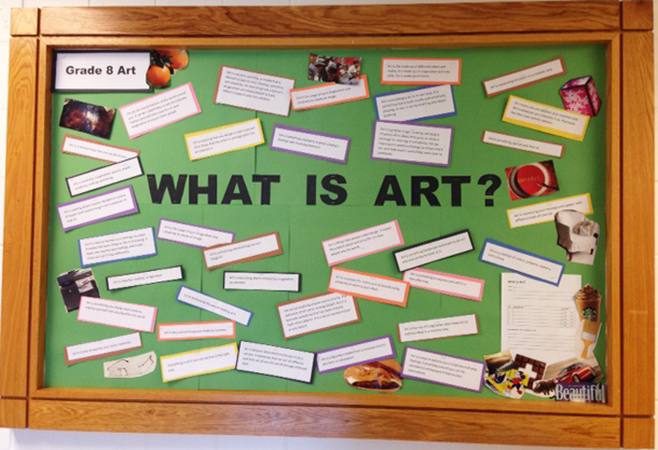 Click here to explore 8th grade STEM Academy Art.